Particular about pickles? Well, here's the one to pick. This new 3-4" pickling cucumber produces fruit on every node of the restricted 2-3' vine. You can eat these cute little cukes fresh too, if you harvest them young, when the already small seed cavities are smaller. Perfect in salads or as a snack. Great disease resistance. Exclusive. Cucumber, Supremo Hybrid is rated 4.5 out of 5 by 19. Rated 3 out of 5 by Merebrook from Mixed review Last year I gave Supremo a 5, this year maybe a 1 if I'm feeling generous so 3 is "average" of the two. Last year I had lush and full vines, full of 3-4 inch straight cukes that yielded 24 jars of B'nB pickles without needing to supplement from the Farmers Market. They were beautiful. (I grow them in a raised bed on an A-frame fence) This year the vines are spindly and sparse, have bloomed prolifically, or as best they could, but few pollinated and generally grew ping-pong ball sized and shaped cukes. A few grew long and properly shaped. My pickles this year are thanks to the Farmer's Market. Because I had such good results from Supremo last year I will try it again next year. I'm hoping this is just an aberrant episode that won't repeat. 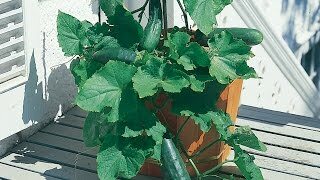 Rated 5 out of 5 by Manhart75 from First time cuke grower I didn't know what kind of cuke to grow since I'm new to gardening. This supremo hybrid has been great! This is what I picked yesterday. I made 4 pints of bread and butter pickle chips with them last night. And I've already made one batch of refrigerator pickles. I expect even more, they're very prolific. I will def plant these again next year. Note, I only planted 6 seeds so you can imagine how many cukes I'm getting from just 1 plant! Rated 5 out of 5 by Rusco from Great little cucumber. Small in size but very crisp and tasty. This is my second year planting them and I will order them again next year. Small, non running plants are loaded with fruit and bear long into the summer. A Winner! Rated 4 out of 5 by Mike the cucumber man from Easy to grow and produce heavily We are enjoying these little picklers. I'd say five star but we have had a few that were slightly bitter on the end. Not all, I hope, because we've got about 160 of them made into pickles already. Rated 5 out of 5 by Happy Gardeners from Great producer Great producer! Have plenty of cucumbers to pickle and to share. Perfect size. Will definitely order again! Rated 5 out of 5 by ARL15 from Productive and delicious! They're growing like crazy, can hardly keep up with all the cucumbers!! Make sure you have stuff for them to climb. 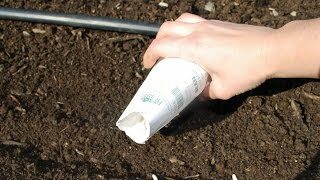 Super easy to grow and extremely productive, and tasty! Will definitely grow again. Rated 5 out of 5 by croach from 34 plants out of 30 pack! The germination rate was phenomenal. I bought the 30 count seed pack and I have 34 seedlings. There were a couple of extra seeds in the packet. They popped out after just a couple of days. Fantastic! Couldn't be more pleased.